Landlords may think the rental application form is the only landlord form needed throughout the tenancy. The fact is that there are several landlord forms needed in addition to the rental application during every tenancy. Without comprehensive landlord forms you could find yourself without the right form when you need it. You could also face going to court with no legal documentation of your claim or no defense in answer to a tenant’s claim against you should the tenancy go bad. The forms you need as a landlord must go beyond a basic rental application. If you develop your own rental application template, you may discover too late that it does not work for the courts. If you do not have the comprehensive rental application forms and other landlord forms on hand and you later present a claim for damages or other violations, you could easily lose the case for lack of evidence. The American Apartment Owners Association is the largest landlord association in the country so we understand all the landlord forms needed throughout every tenancy. Attorneys and other industry experts create our rental application and other crucial landlord forms. Make sure you have AAOA professionally created rental application and other important landlord forms on hand at all times. Application to Rent – The rental application is the most important form needed for a tenancy next to the rental agreement itself. Rental application screening goes beyond having the tenant answer a few questions on a vague rental application template that you create on your home computer. The rental application from AAOA delves deeply into the prospective tenant’s past, asking questions regarding occupation, income, criminal history, eviction history and more. The rental application also contains the consent for background screening. 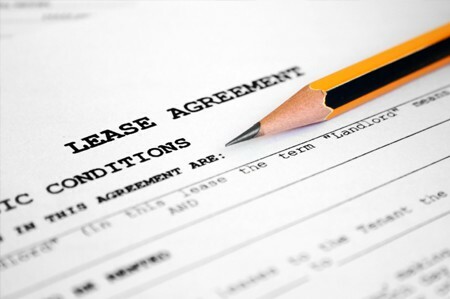 Residential Lease or Month-to-Month Rental Agreement – The residential lease is crucial to every tenancy. Each state has landlord tenant laws and when alleged violation of those laws is called into question in the courts, the lease is often at the center of the case. Make sure you provide the comprehensive residential lease created by the professionals at AAOA, your go-to source for all your rental application and landlord forms needs. Move In/Out Checklist – A crucial component to the rental application forms is the Move In/Out Checklist. Before your tenant actually moves in to the property, you and your tenant go through the property and you each make note of any damage or other need for repairs. You and the tenant sign, agreeing to the condition of the property at move-in. At the time the tenant vacates the premises, you each perform the move out checklist, again noting any damage. If damage exists beyond normal wear and tear, you could potentially file a claim for damages against the tenant. Evidence is crucial for court cases and the move in/out checklist can prove vital to you in court. Notice of Entry – Landlords cannot just show up whenever they choose and expect to enter the rental property. The notice of entry gives your tenant advance notice, which is required by law in most states, that you plan to enter the premises to make repairs or for other legitimate needs. You must not violate your right of access however. Notice to Perform or Quit – The Notice to Perform or Quit gives you the advantage you need if the tenant violates the lease in a manner other than late rent. For instance, if the tenant has a pile of unsightly furnishings on the outside of the property or if the tenant has pets and the rental application states that you do not allow pets. This puts the tenant on notice to correct the violation. If the tenant refuses, you have the evidence needed to proceed to evict the tenant for violation of the rental agreement. Notice of Termination of Tenancy – The notice of termination of tenancy, provided by the experts at AAOA, gives your tenant notice that the tenancy terminates within a stated period. Other professionally created landlord forms from AAOA are crucial to always have available. AAOA provides easy-to-access rental applicant screening and other essential landlord forms needed throughout every tenancy.